If you felt a disturbance in the force don't panic, it could just be your Jedi spoiler-warning senses tingling. It was announced recently that during 'Monday Night Football' in the U.S. the trailer for 'Star Wars: The Last Jedi' would be launching. Now that the trailer's launch has been confirmed the film's writer and director Rian Johnson has come out to say that if fans want to avoid spoilers they shouldn't tune into the game, and avoid the entire internet for a day or two. This isn't the first time Johnson has said something to that affect, with he and Hamill both urging fans to go in to a screening of 'The Last Jedi' seeing as little marketing material as possible. 'The Last Jedi' picks up where 'The Force Awakens' ended, with Rey arriving on Luke Skywalker's doorstep. But outside of that not much is known about what's in store for the eighth chapter in the iconic series. 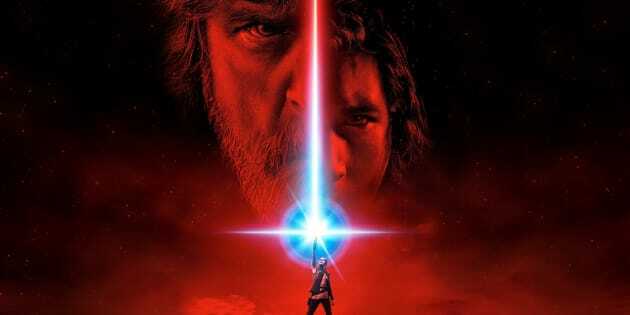 'Star Wars: The Last Jedi' stars Mark Hamill, Adam Driver, Daisy Ridley, John Boyega, Oscar Isaac, Lupita Nyong'o, Laura Dern, Gwendoline Christie and Carrie Fisher and is scheduled to arrive in cinemas December 15.